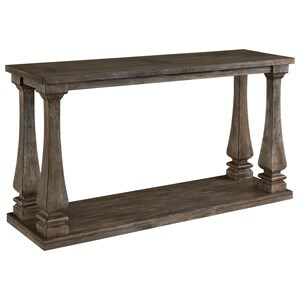 For a hallway or a living room, this simple and stylish console sofa table makes a great impression on your decor. 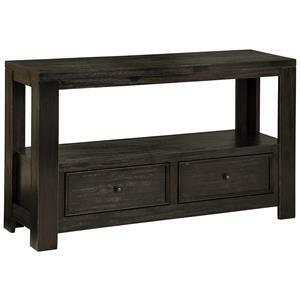 Made with mango wood in a warm brown finish, its block legs, ring pull drawer hardware, and X-side detail add vintage style, while two drawers and an open shelf provide useful storage. The table can even be used as a TV stand. 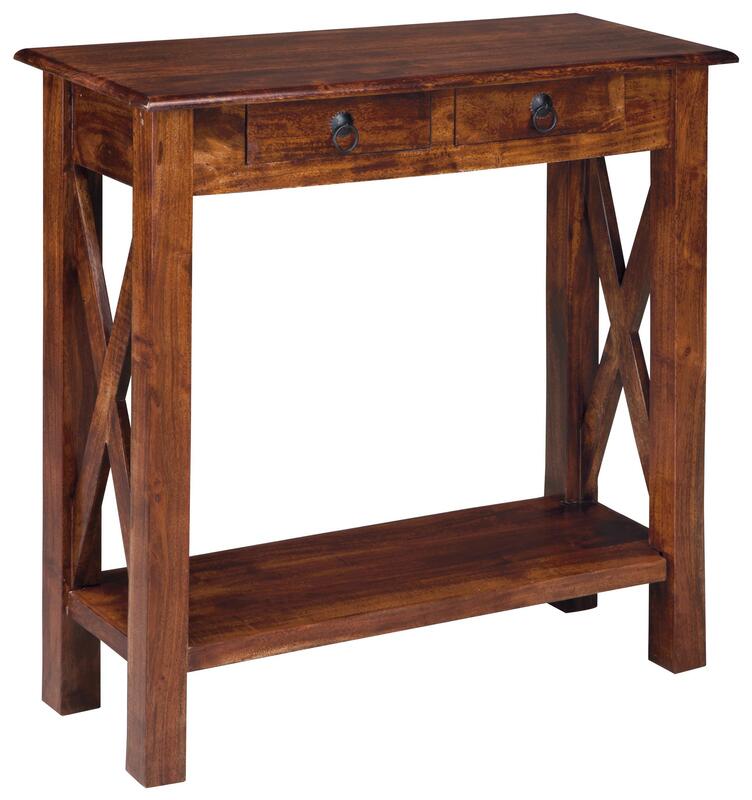 The Abbonto Mango Wood Console Sofa Table with Storage by Signature Design by Ashley at Becker Furniture World in the Twin Cities, Minneapolis, St. Paul, Minnesota area. Product availability may vary. Contact us for the most current availability on this product. 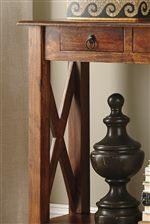 Wood in a warm brown finish shows off the natural beauty of the accent pieces available in this collection. 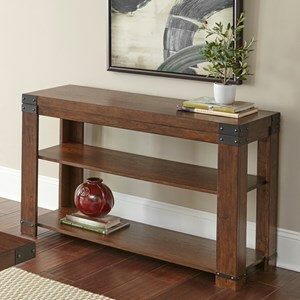 Highlight your relaxed design style with your choice of items available. The Abbonto collection is a great option if you are looking for Casual furniture in the Twin Cities, Minneapolis, St. Paul, Minnesota area. 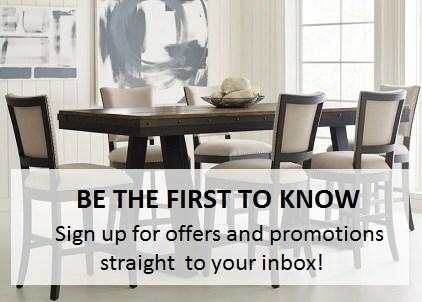 Browse other items in the Abbonto collection from Becker Furniture World in the Twin Cities, Minneapolis, St. Paul, Minnesota area.